You can easily install Avro on Terminal buy follow below few lines of commands. 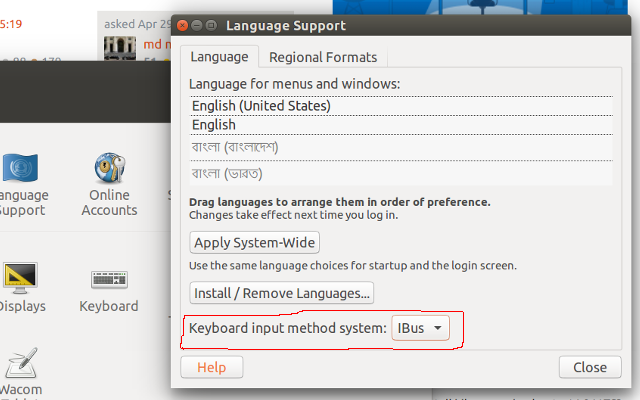 Now go to System Settings > Language Support from Unity Launcher Look at the Keyboard input method system Select IBus and close the window. After this a “reboot” is required. Now go to System Settings -> Keyboard -> Text Entry. 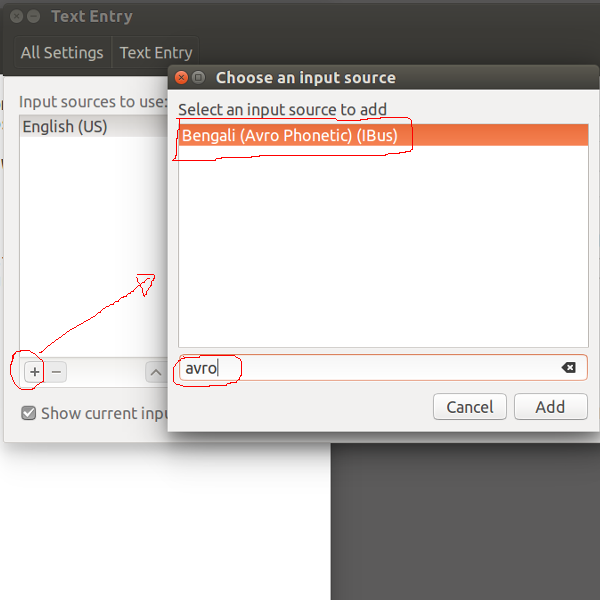 Search and add Avro Phonetic as input source.